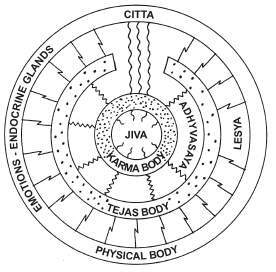 According to the system of Preksha Meditation, psychic centres are junctions between self, psyche, and body. The psychic centres consist on subatomic particles and are connected with the endocrine system. 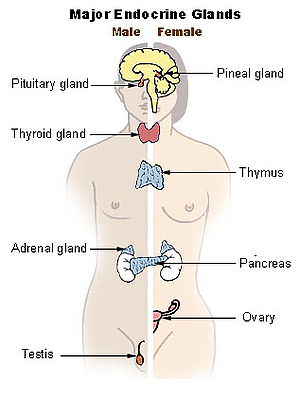 The endocrine system influences all our actions and reactions via hormones. Perception of psychic centres concentrates the mind on a psychic level (see also: psychic colours and colour meditation). Focusing on the psyche liberates the soul from attachments. Managing the psychic centres helps us to transform spiritual aims into action by refining negative impulses.